At 10am of December 23, 2012, the 83-year-old elderly patients Bian Wanlu accompanied by his family came to Modern Cancer Hospital Guangzhou for treatment. The patient reported that he has more than ten years history of chest distress, and the initial diagnosis was myocardial ischemic coronary heart disease. It was just when the patient underwent hospital admission at 12:00pm, his facial color suddenly turned purple accompanied with difficulty in breathing and circulatory failure symptoms. The situation was extremely critical! The on duty doctor Jiang Xilin, nurse He Fengyu, Chen Jingjing and Luo Wanyi were unruffled and quickly took rescue measures. 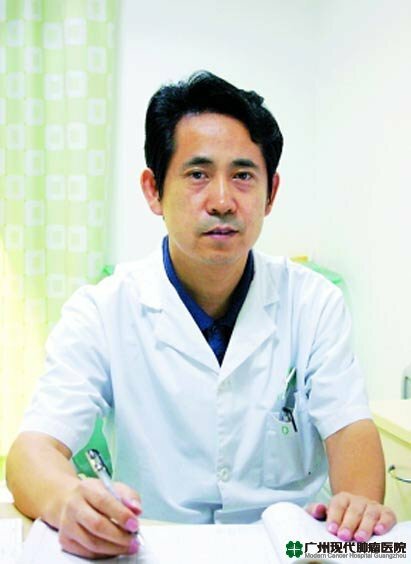 With years of superb medical skill experience, Jiang Xilin quickly determined the cause that the patient did not take the medicine to treat high blood pressure for 1 month and thus causing acute left ventricular failure. Jiang Xilin decisively and quickly developed cardiac diuretic-based treatment program, coupled with lowering blood pressure, retaining cardiac care, oxygen absorption and other symptomatic treatment, therefore, successfully rescued the patient and even supplemented him with consolidate low salt low-fat diet to finally stabilize his condition. After hearing this, family members of the patient were so surprised that they didn’t know what to say, just tightly holding the doctor's hands. Dr. Jiang just said that curing the sickness to save the patients was doctors' duty. After Dr. Jiang's careful treatment, the patient was soon released from the hospital. Before discharge, the patient’s families once again sent to a red envelope containing 1000 yuan to thank Dr. Jiang’s hard work. Naturally, Dr. Jiang once again rejected it. When discharged from the hospital, the patient and his families repeatedly praised: “doctors and nurses of this hospital really have high medical skills and can provide excellent medical services; it is a really trustful hospital." The patient also said Dr. Jiang was his trusted friend, because his life was saved by Dr. Jiang.